The Rising Sun pub in Fulwood has launched a new menu and I was pleased to be invited to try it. The pub, owned by the local Abbeydale Brewery, had a refurb a couple of years ago, with an extension and full catering kitchen, which has allowed them to be quite creative with the menu. 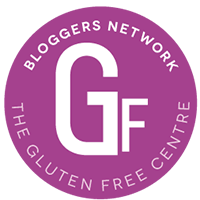 There are plenty of options marked as gluten free on the menu, with a couple of snacks and starters, over five main courses and a couple of puddings. The staff were knowledgeable about cross contamination, and they have a separate fryer for chips and gluten free food from the other fried items, so the chips are gluten free, although accidentally not marked as such on the menu. We started off with a Caprese salad, which looked very appealing with its coloured heirloom tomatoes, pea shoots and mozzarella. There was plenty of seasoning and not too much oil, so it tasted as lovely as it looked. Our other starter was cauliflower (and lentil) fritters, with a homemade mango and lime chutney. These were great – rather substantial and really nicely flavoured. I might have a bash at making these myself! For mains, carrying on the curried theme, I ordered masala spiced cod fillet, with braised lentils, pickled carrot and a coconut cream sauce. I thought this was excellent. The cod was cooked just right and the spicing was bob on for me. Bags of flavour, particularly with the additions of creamy sauce and the tangy carrot. Our other main was a slow roast lamb belly with fresh peas, roasted baby carrots, confit new potatoes and a minted yoghurt. It’s very unusual to see peas in pods these days, and goes to show they’re using lovely fresh ingredients. I’ve not had lamb belly before, so this was interesting to try and we really enjoyed it. Unfortunately, we didn’t have time for a pud but there was a pineapple upside down cake and a lemon pavlova on offer, which is a bit different from what might normally find in a pub. Definitely worth a trip out to Fulwood. And it was great to see a whole load of local suppliers listed on the menu. Tags: coeliac restaurant review, coeliac sheffield, GFsheff, gluten free eating out, gluten free restaurant, Gluten free restaurant review, Gluten free Sheffield. Bookmark the permalink.